Another Thursday, another little grammar lesson! One of my readers asked me to clarify the use of apostrophes. Poor little things--such tiny punctuation marks they are, yet they get misused so often! They're used in contractions to take the place of the missing letters. They're used to make the possessive form of nouns. The first use is pretty straightforward; we just need to be careful to place our apostrophes exactly where the missing letters would go. For instance, the words you and all form y'all by removing the letters o and u and putting the apostrophe in their place. So the contraction is spelled y'all, NOT ya'll. Most contractions are common words, such as don't, can't, and wouldn't. Some contractions are made up as we go--we often combine a word plus the verbs is or had. Rules for the use of the apostrophe are the same: use it to replace the missing letters. She's (she is) going to be late. I'd (I had) rather not do that. The second use is a little more troublesome simply because of one of our spelling rules. To form the possessive of a singular noun, you add an apostrophe plus an s.
Did you read Amanda's post? Kathy is Bonita's new assistant. He borrowed his brother's car. In each of these examples, the possessive is formed by adding an apostrophe plus s.
For plural nouns that do not end in an s, you form the possessive just the same way. She chaperoned the children's trip to the museum. For plural nouns that end in an s, you simply add an apostrophe after the s.
My sisters' families are wonderful. The teachers' workroom needs to be painted. The Smiths' house is on Mapleview Road. Now here's one of the most important rules for using apostrophes: DO NOT use apostrophes to form the plural of words. For instance, don't write: "I have two sister's and two brother's." No, you don't. You have two sisters and two brothers. NO APOSTROPHE is needed to form the plural of words. 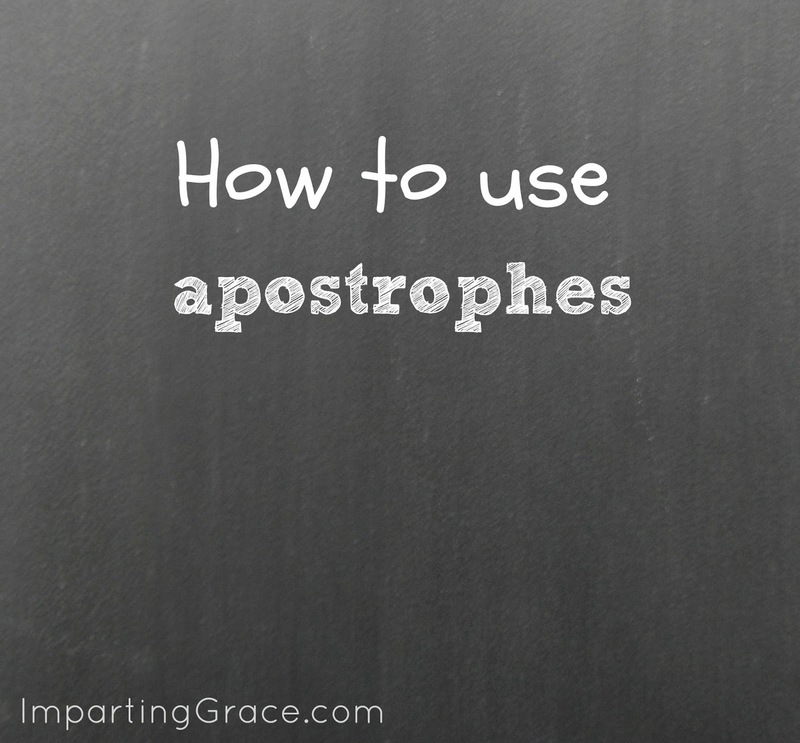 Save your apostrophes for forming possessives. And, of course, be careful with personal pronouns. Apostrophes are NOT used to form the possessives of personal pronouns. They're used to form contractions with personal pronouns, not possessives. For a review of that rule, click here. I hope this little lesson has been helpful! As always, remember that perfection is not the goal; clear communication is the goal. Please let me know if I can ever answer any grammar questions for you; I'd love to help if I can. Thank you for the info! I always get confused with the plural nouns! Good info...using an apostrophe with the intent of making a word plural is a pet peeve of mine. Thank you thank you thank you. You just cleared up a years long battle with my former employer who insisted on spelling clients names with the apostrophe on mail: The Smith's, The Johnson's, The William's. I love your English Teacher posts. I love English and spelling and am always checking to make sure I am spelling correctly. oh good... something else i understand! yay! I love it! 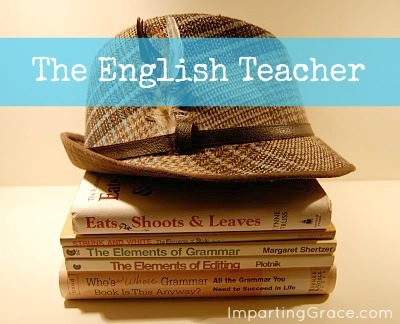 I tutored grammar for several years. It's amazing how many folks don't know how to properly punctuate. What a good idea to teach it on your blog. Richella, I'm so glad you do this. I know exactly where to go for my English and grammar questions. As always, Love this post!